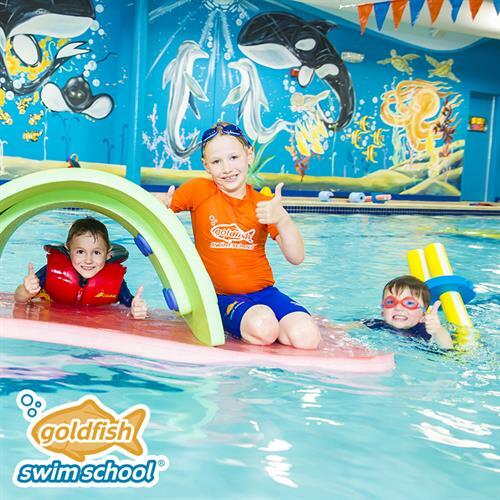 Goldfish Swim School is a state-of-the art swimming facility dedicated to teaching children as young as 4 months old. 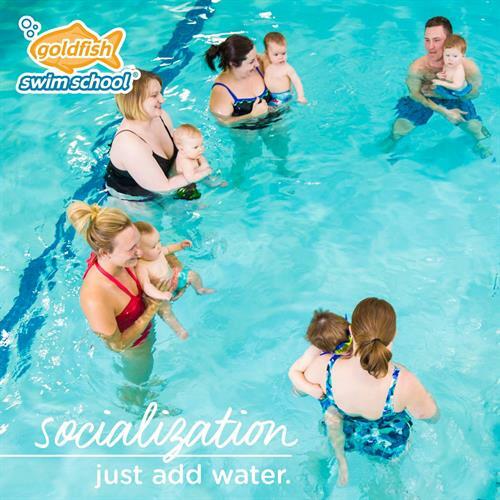 Goldfish is much more than a swim school. You feel it the moment you walk in. Something different. It’s more than vibrant colors chosen to inspire kids. More than a curriculum crafted to not only teach kids to swim but also to build their character through guided play. More than a shiver-free pool heated to 90 degrees. There’s something more. Something unexpected. Something beyond typical. It’s passion. Not just a passion for kids or a passion for swimming…it’s a special passion for changing – even saving – lives by teaching kids to swim and be safer in and around the water. We use our holistic philosophy, The Science of SwimPlay®, to build life skills both in and out of the water using play-based learning in a fun and safe environment. 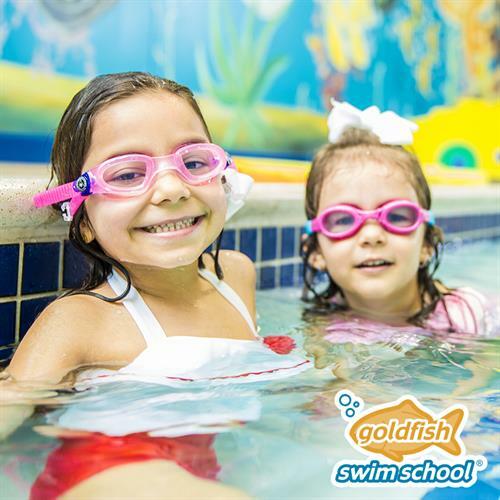 In a class size of no more than 4 children to 1 swim instructor, children master the skills they need to be safer and confident in the water. 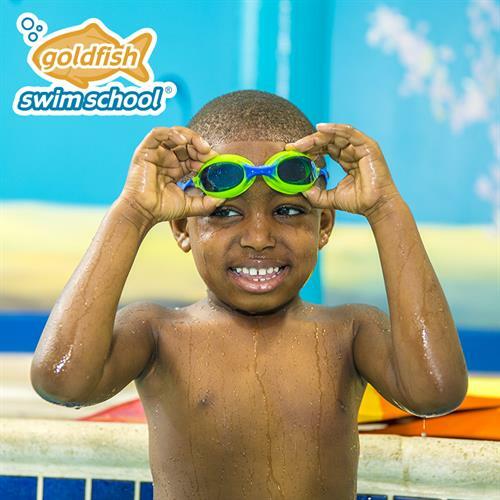 Beginning as early as 4 months, children progress through a series of perpetual swimming lessons, graduating to higher levels of difficulty as swimming skills are mastered. 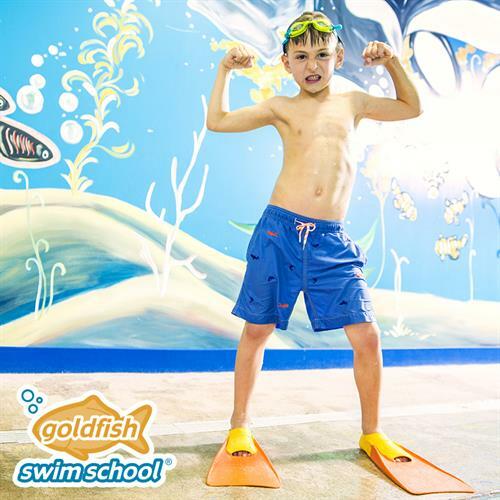 Goldfish also offers special events like parties, Family Swim, accelerated Jump Start Clinics and our Goldfish Swim Force Team, catered to swimmers who have completed the Goldfish Pro Level. 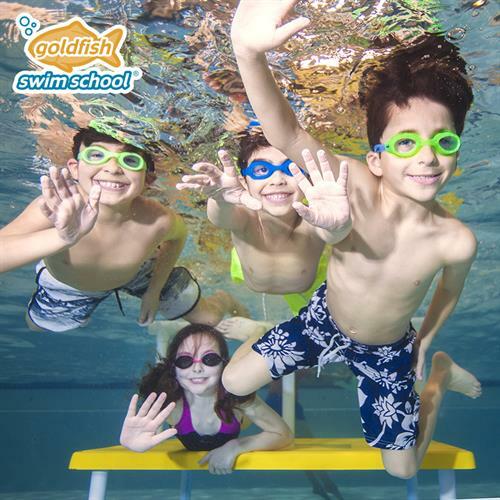 Goldfish Swim School is proud to help teach the children of the great community of Middletown, New Jersey how to swim and be safer in the water. We encourage you to stop by for a tour of our facilities.